9am –After a rocky night we arrive in the bustling little desert town that is Nazca in Peru, and I have never been this elated at the sight of a little old Peruvian man holding a card with my name on it. Juan collects us at the small bus terminal and loads our luggage into the waiting taxi. 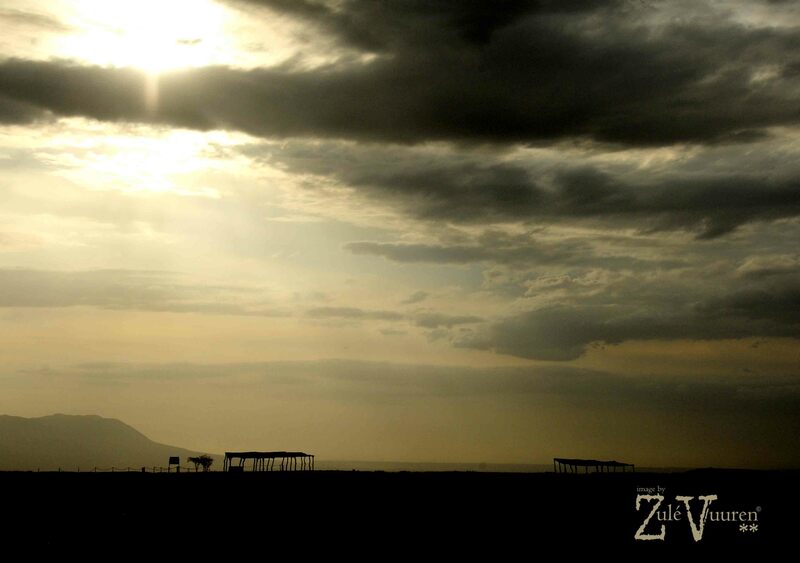 Along with his wife Isabel and their teenage son, Martìn, he owns and manages the Nazca Trails Hostel. It is definitely, without a doubt, the best place to stay in Nazca. 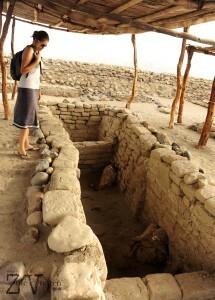 It is hot in Nazca, and the cool solace of our double room with private bathroom is a very welcome sight. I am so over tired that I can’t sleep or think or even speak properly, while T snoozes away. By 3pm I am starving again and I wake T insisting that we take a walk around town to search for sustenance. 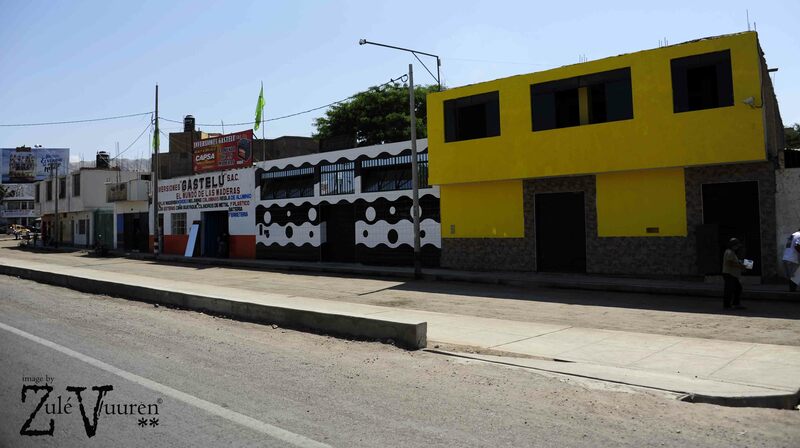 Juan suggests a small family run eatery around the corner where the day menu is 15 soles each for a starter, main and huge jug of juice to share. All across the countries we have visited, fruit smoothies have been very popular, and the first comfort across my tongue is the soothing taste of a banana and milk smoothie. So simple.. The town of Nazca lies in the Peruvian Desert, about 200 miles south of Lima, in a plain between the Inca and Nazca (sometimes also spelled Nasca) Valleys. 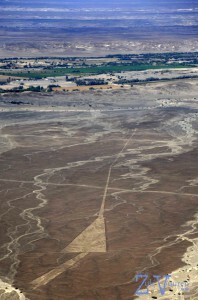 Across this plain, in an area measuring 37 miles long and 1-mile wide, is an assortment of perfectly-straight lines, many running parallel, others intersecting, forming a grand geometric form. 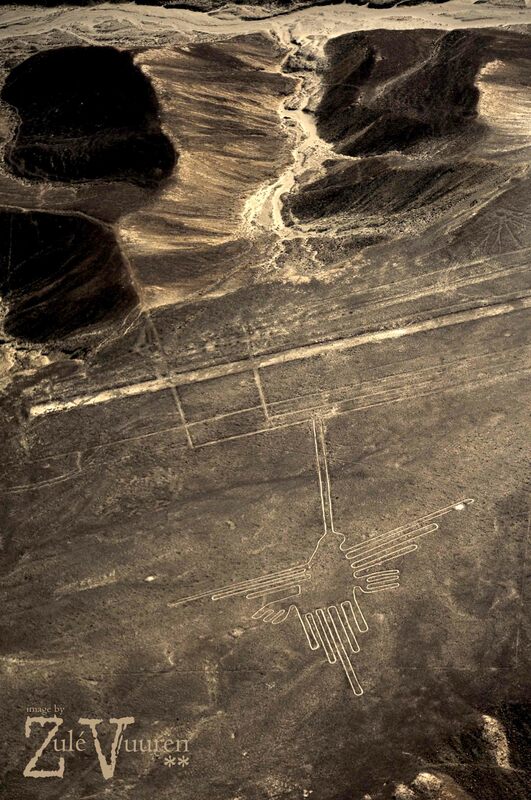 In and around the lines there are also trapezoidal zones, strange symbols, and pictures of birds and beasts all etched on a giant scale that can only be appreciated from the sky. 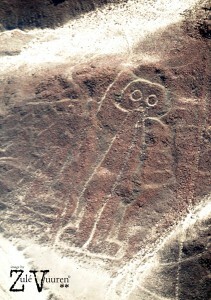 These geoglyphs and biomorphs are Nazca’s claim to fame. The biomorphs are some 70 animal and plant figures that include a spider, hummingbird, monkey and a 1,000-foot-long pelican. 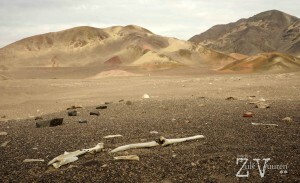 The biomorphs are grouped together in one area on the plain. 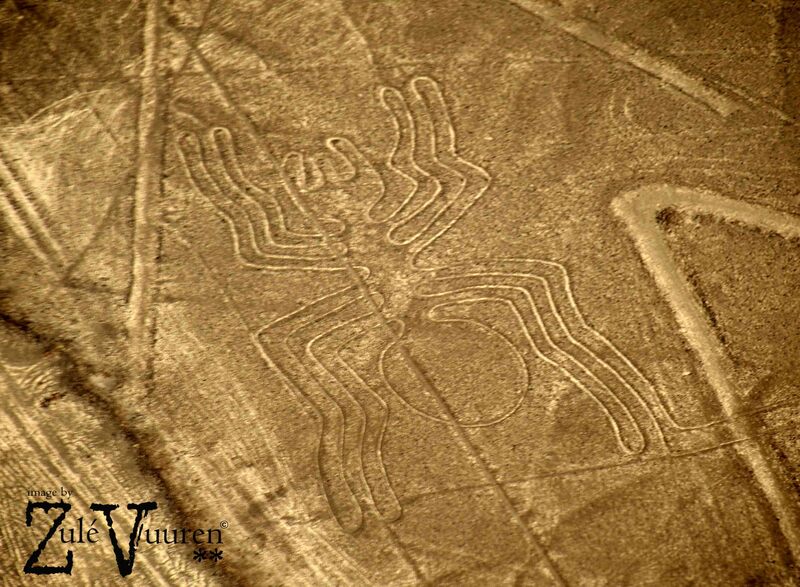 Some archaeologists believe they were constructed around 200 BC, about 500 years before the geoglyphs. For hundreds of years our modern civilization had no knowledge of these wonderous artworks. Although the “lines” were discovered by Peruvian archeologist Mejia Xesspe in 1927, it was not until the 1930s that the true extent was realized when aircraft flew over the area surveying for water in this desert landscape. Many have studied the Nazca lines, and there are as many reasons for their presence as there are individuals who claim to be experts on the topic – from the notion that it may be messages to extra-terrestrials to art for water rituals in the hope of rains in the desert. The most famous explorer of the area was German mathematician, archeologist and technical translator Maria Reiche. She started her study of the area in 1940 and died in 1998 as an honourary Peruvian citizen after living out her days at the Nazca Lines Hotel where her room is still kept as a museum and the planetarium educates visitors on her studies. 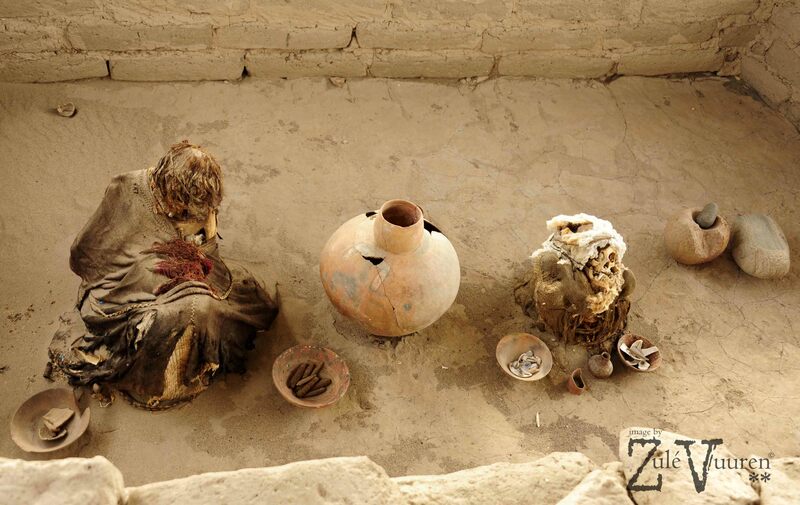 Juan is a treasure trove of information about all things to do and see in the area and organizes a tour of the ancient Nazca cemetery where hundreds of graves with perfectly preserved mummies have been found. 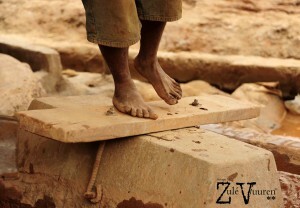 Some of the graves have been opened and it is astonishing to see these wonders up close. Buried in an upright fetal position, or sitting cross-legged, with their most prized possessions and favourite foods around (to enjoy in the afterlife of course..), always facing west in the direction of the sunrise. 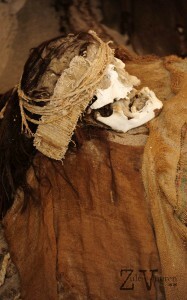 The average Nazca citizen lived to the ripe old age of +- 36, and those with very long hair, sometimes longer than 2m, are thought to have been the wealthiest in society. The Nazca civilization never developed a written language, and as such their history is lost to us..including the reasons behind the creation of the now famous lines. We are also lucky enough to be shown a demonstration on how gold is still mined by hand by individuals in the mineral rich hills around town. It is quite a process of collecting mud, and “wheeling” it in a huge pan by rolling a barrel over the mud to break up the minerals in the hopes of finding a golden nugget. 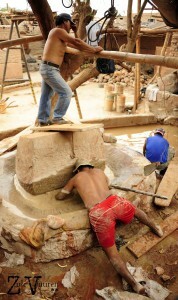 It is very labour intensive and a mere US$60 can be made by one in a week. We also visit a ceramics workshop where the family produces works in the exact same way that it has been done for centuries from the natural clays found in the hills. The whole tour cost 58 soles per person and we are dropped off right at our front door. 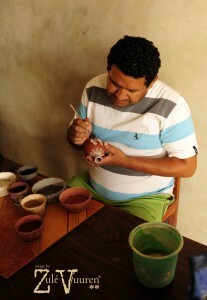 It is definitely worth it to take a tour like this with a local who is able to enlighten with folk stories. We explore the busy town in the afternoon, and like most other small towns in South America there is a definite touristy street – which we avoid. It is best to eat where the locals eat. 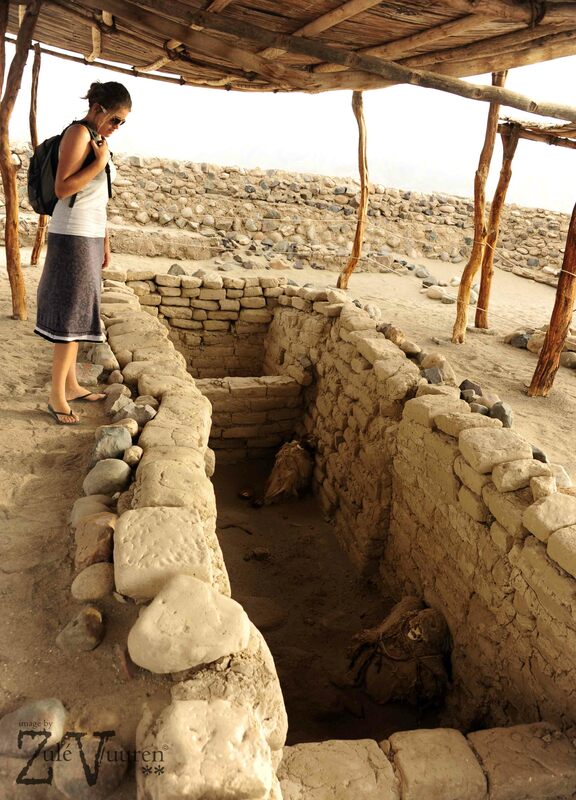 In the evening we visit the planetarium at Hotel Nazca Lines to learn more about Maria Reiche and the history of the Nazca lines before our chartered flight to see the lines from the sky in the morning. 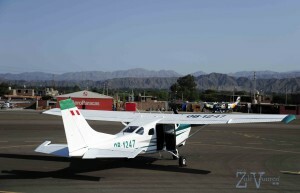 For US$80 per person we go up in a six-seater Cessna. Now, I’m a little paranoid about take-off and touch down in an Airbus, so imagine my thoughts of an untimely death from a tiny airplane falling out of the sky over a heritage sight. We share our flight with two Japanese ladies and the excitement/terror in the cabin before take-off is almost palpable. The engine starts. The wheels start turning. I already feel like I may throw up and we’re not even in the sky yet. Once we’re up, and I see the first image from the sky, I am overcome with awe. My mind is boggled! How did they do this? 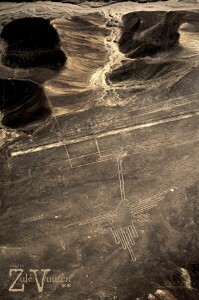 There is really no point in visiting Nazca and not spending the money to go up in a plane to see the lines and drawings the way it is meant to be seen – from the sky! Remember anti-nausea tablets. The afternoon rolls on, and after lunch and a nap on the hostel couch we catch a bus to our next destination. This bus is made for Peruvians = no leg space. Poor T with her mile high legs! It’s a good thing the ride to Ica is only 2 hours long. This entry was posted in Peru, Travel and tagged aeroplane, airplane, ceramics, desert, fly, gold, Hostel, Lines, Mysterious, Nazca, no, Peru, plane, sand, trip, water.